This relatively new technology has shown rapid growth in recent years and has already been successfully implemented in advertising, marketing and the entertainment industry, but its use in health care is also increasing. Thick textbooks of anatomy are being replaced by augmented reality, and surgeons can use it to help their colleagues from a distance; special glasses with augmented reality help the visually impaired to cope more easily with their daily tasks. However, the world is just now beginning to speak about the invaluable help that augmented reality can be of children with disabilities and SEN.
One of the guiding principles in working with children with special educational needs is the necessity for them to be given frequent instructions when carrying out a series of actions (i.e. the information to be given to them gradually and in small steps). 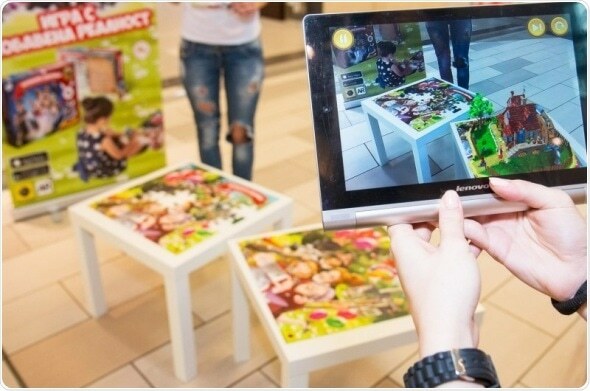 Augmented reality or AR is an innovative technology which interacts with the real world by injecting digital content. With its help, computer-generated objects can be seen in the real world. Generally, augmented reality is a medium that combines virtual reality and elements of the real world. In the most common case, the users use their smartphone cameras to see digital objects in the physical world.